Is this the iPhone 6 plus all over again? A troubling report is hitting the interwebs today, with several Nintendo Switch owners, including those at Engadget reporting that leaving the system in docked mode for too long causes the plastic to "warp". If you'll remember way back in 2014, Apple had a similar situation with the iPhone 6 Plus. The issue was first raised in a reddit thread, where users compared photos of their warped consoles. 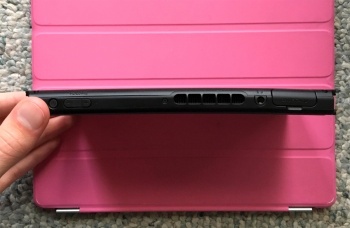 The consensus seems to be that this is caused by using the Switch in docked mode for a long period of time - as the machine is working harder, it gets hotter, causing the internals to expand and warp the body. The good news is that this warping seems to be a purely asthetic thing (at this point) and doesn't seem to be affecting the way the console works. Also, according to one reddit user, while Nintendo has not officially acknowledged the issue, it is willing to perform free repairs on affected consoles. Has your Switch experienced this warping?